A recent report and press conference highlight some of the challenges ahead for Beijing — freedom and income inequality. 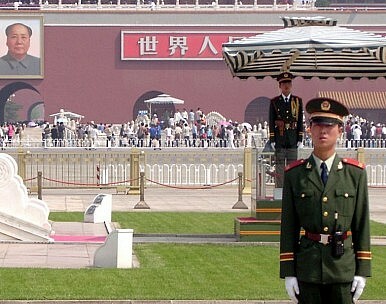 China is among the least free societies in the world and suffers from a dangerously high rate of income inequality according to two reports this week from Freedom House and the Chinese government’s National Bureau of Statistics (NBS). China was home to over half of the global population who lived in “not free” societies in 2012, according to Freedom House’s annual freedom index, which was released on Wednesday. “The number of people living under Not Free conditions stood at 2,376,822,100, or 34 percent of the global population, though it is important to note that more than half of this number lives in just one country: China,” the introduction of this year’s Freedom of the World report stated. Freedom House defines a country as “not free” when “basic political rights are absent, and basic civil liberties are widely and systematically denied.” It gave this label to 47 countries around the world, 24 percent of the total polities. An additional 58 countries are only listed as “partly free” while Freedom House considers 90 nations as free, 46 percent of the total. In the Asia-Pacific, 43 percent of countries were listed as free, 36 percent were labeled partly free, and 21 percent were labeled as not free. Of those in the latter category, North Korea, Uzbekistan, and Turkmenistan were among the seven countries Freedom House included in its “worst of the worst” category meaning they got the lowest possible score for both political rights and civil liberties. Although China as a whole wasn’t part of the “worst of the worst” grouping, Tibet was one of the two territories included in the survey that met the requirements for the “worst of the worst” ranking. Furthermore, Freedom House said that China was one of the six nations and territories that scored only “slightly above those of the worst-ranked countries,” receiving a seven, the lowest possible score, in the political rights category and the second lowest score, six, for civil liberties. More embarrassing for China was the unfavorable contrast Freedom House drew between Beijing and its neighbor Myanmar. “For all its lingering problems, Burma has now surpassed China on both political rights and civil liberties,” the report said. Myanmar was given a six in terms of political freedom and a five in the category of civil liberties. Although China remains far ahead of countries like Myanmar economically, not everyone in China is sharing in the spoils. That is if you believe the Chinese government, which released data on the country’s Gini coefficient for the first time since at least 2000. The Gini coefficient is an internationally recognized measurement of income inequality in a country where zero equals perfect equality and a score of one means perfect inequality (one person holding all the wealth). China’s Gini coefficient has hovered between 0.47-0.49 since 2003 Ma Jiantang, director of the National Bureau of Statistics (NBS), told a press conference in Beijing on Friday. The last time Beijing released Gini data was in 2000, when it said the number was at 0.412. "A Gini coefficient between 0.47-0.49 shows that the gap in income distribution is relatively large,” Ma reflected. By way of comparison, the United States, which has one of the highest levels of income inequality in the industrialized world, has been estimated by the OECD to be around .37 after taxes. Other organizations like the UN place the number higher at 0.4. Breaking down the numbers further, Ma said there was a three-fold gap in wealth between rural and urban workers, and a four-fold gap between workers in the most and least lucrative industries, Reuters reported. Many economists and international organizations believe anything above 0.4 risks creating social unrest. It’s worth noting that Deng Xiaoping and his subordinates recognized that their policy of reform and opening up would create greater income inequality at least in the short-run. Zhao Ziyang, who as Premier from 1980-1987 was in charge of the daily implementation of China’s economic rebalancing, was a particularly strong advocate of the need to allow income for China’s coastal regions rise faster than inland provinces. That being said, the high level of income inequality threatens social stability and impairs the government’s ability to rebalance the economy towards one built more on domestic demand than exports. The one bright spot in Ma’s press conference was that inequality appears to have peaked in 2008 when the Gini was at 0.491, and declined each year since reaching 0.474 in 2012. This contradicts the NBS' statements in 2011, however, when it said—without stating actual numbers— that income inequality had risen slightly in 2011 compared to 2010. Still, the new leadership’s efforts to rebalance the economy will be made all the more difficult by the declining size of the labor force. At the Friday press conference Ma said the labor force had declined in absolute terms by 3.45 million workers in 2012 relative to the year before. He cited the one-child policy as the cause of this drop and passionately advocated this be reversed. China’s 5th generation leaders that took over in November are unlikely to initiate the kind of tough, visionary policies needed to navigate the country’s mounting difficulties, Freedom House suggested in its report this week. The annual survey said those hoping for “meaningful political reform were dealt a serious blow” when the CCP unveiled the fifth generation leadership, “whose members have generally built their careers on hardline policies.” They'll need to do better in economic reform.